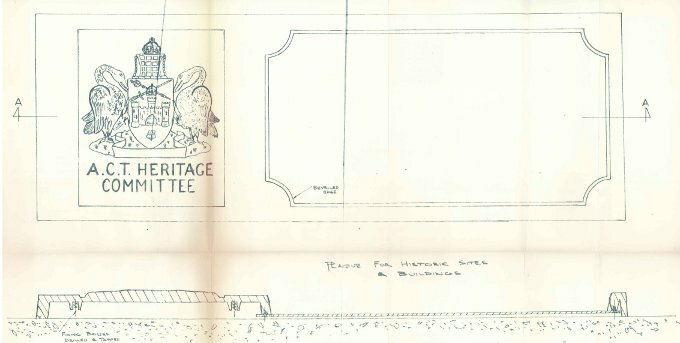 To coincide with the first ACT Heritage Week in April 1982, the ACT Heritage Committee arranged for the installation of plaques on significant heritage sites around the ACT. 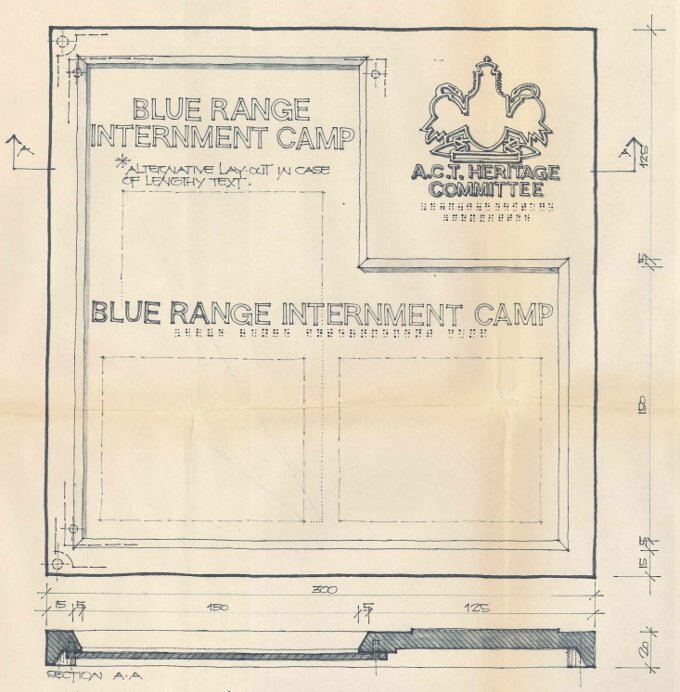 Installation of these plaques continued for several years and most can still be found in prominent positions on historic buildings. 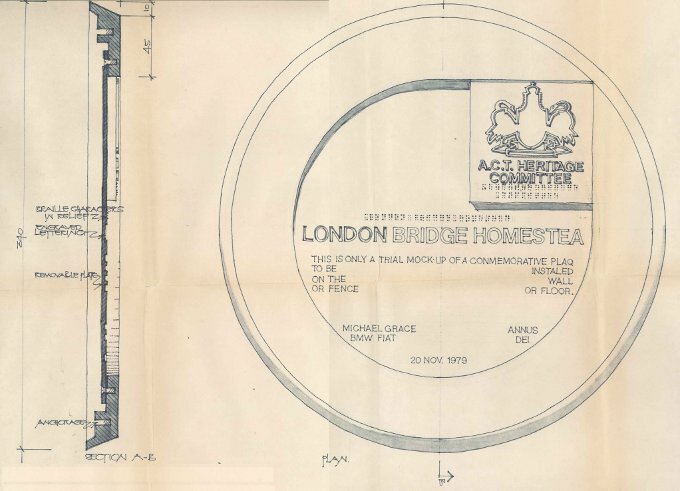 The following scans are plaque design proposals 'A' to 'C' drawn up by the NCDC with design ‘C’ being selected. Above: Black Mountain (first explorers) - located at the entrance to Telstra Tower. "Built as the family residence Joseph Shumack in c1860, it was licensed as an Inn from 1876 to 1886. 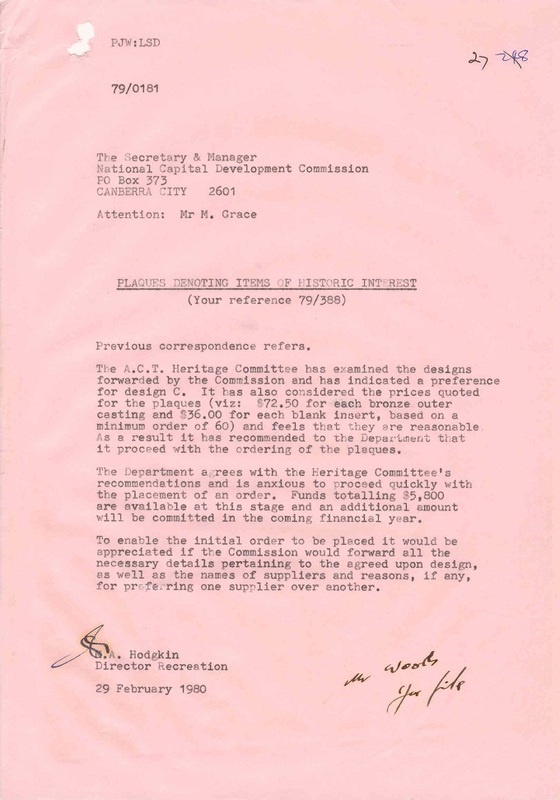 It became the residence of the Read family and was known as "the Pines" until acquired by the Commonwealth in 1974. 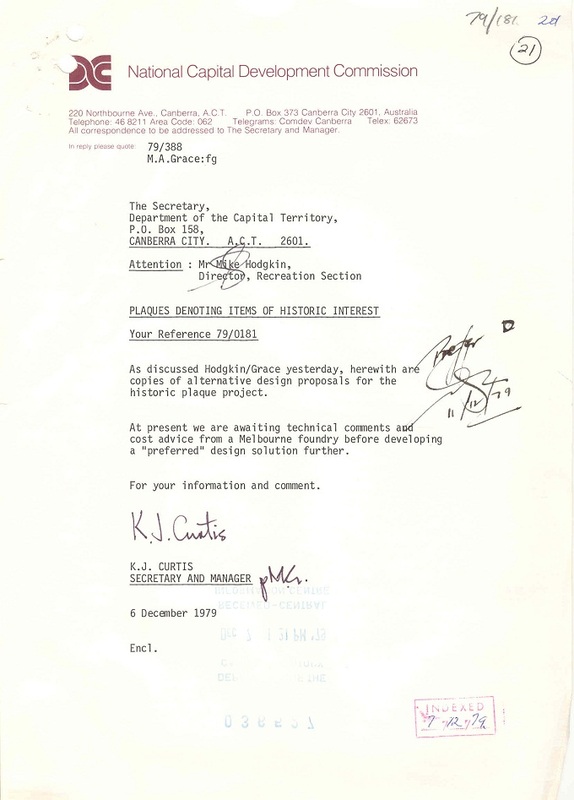 The Canberra Inn was restored and reopened on 9 December 1976." 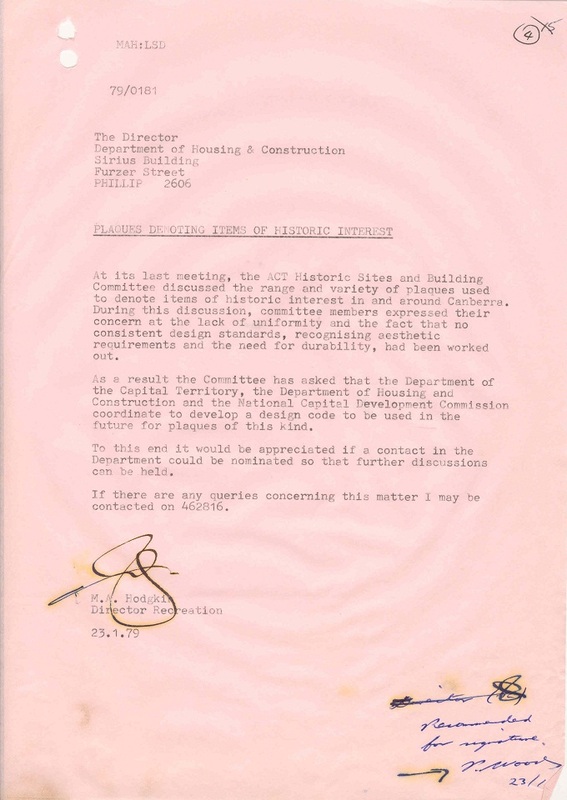 The following images are the invitation and phographs of the unveiling of the Civic Centre plaque by the Minister for the Capital Territory, Michael Hodgman on the 22nd of April 1982. 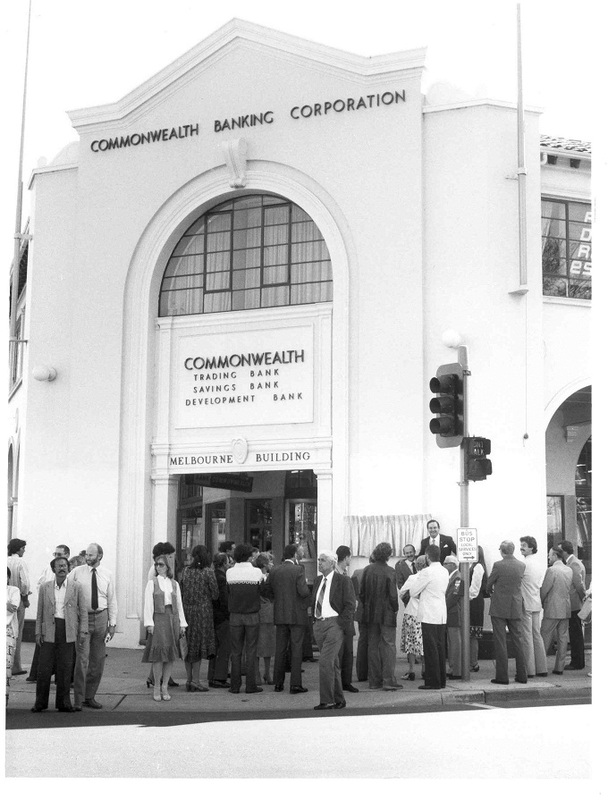 This plaque is located on the Melbourne Building on the corner of London Circuit and Northbourne Avenue. 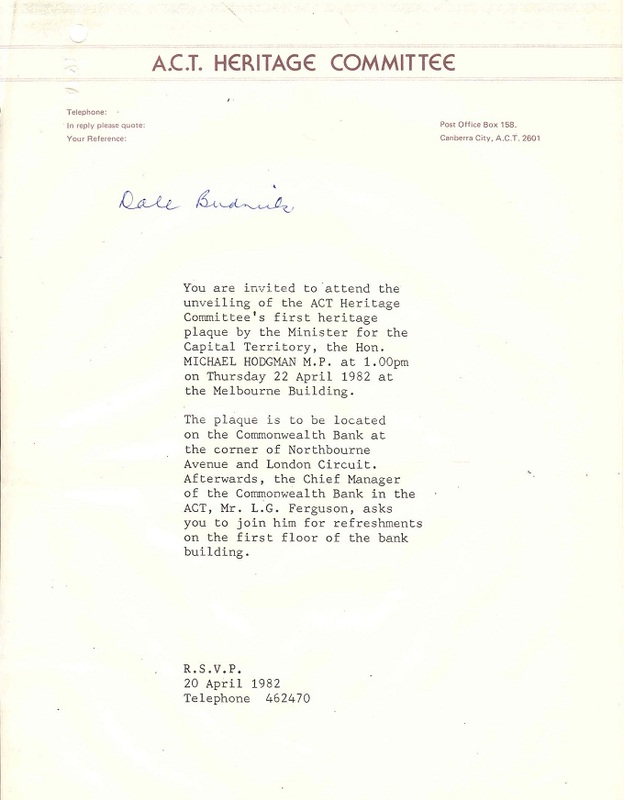 Above: Prior to unveiling the ACT Heritage Committee Civic Centre Plaque on 22nd April 1982. John Thwaite (left) & Michael Hodgman (right) are in front of the still covered plaque. 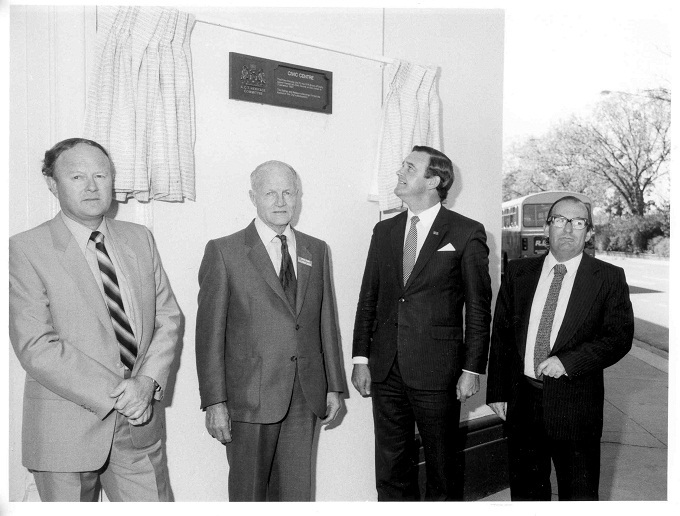 Above: Unveiling of ACT Heritage Committee Civic Centre Plaque. Left to right: unknown (possibly L.G. 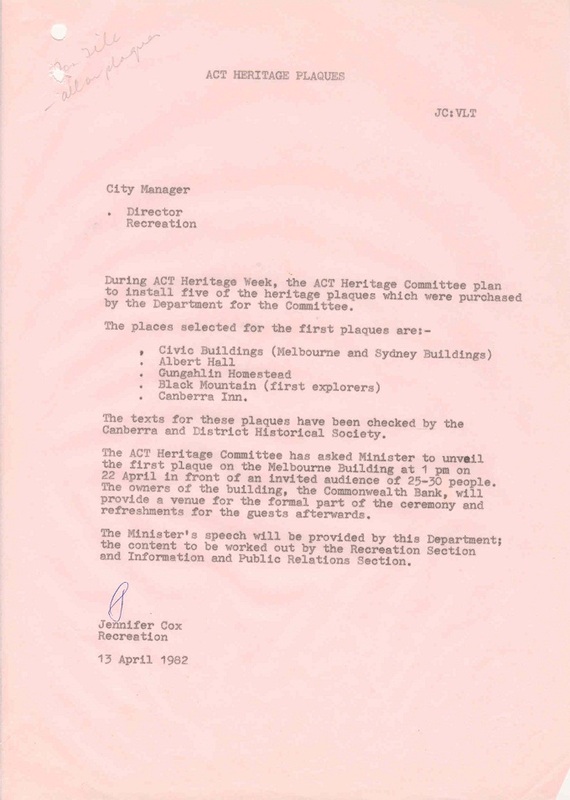 Ferguson, Commonwealth Bank Manager), Bruce Moore (ACT Heritage Committee), Michael Hodgman (Minister for the Capital Territory) and Alan Fitzgerald (ACT Heritage Committee).